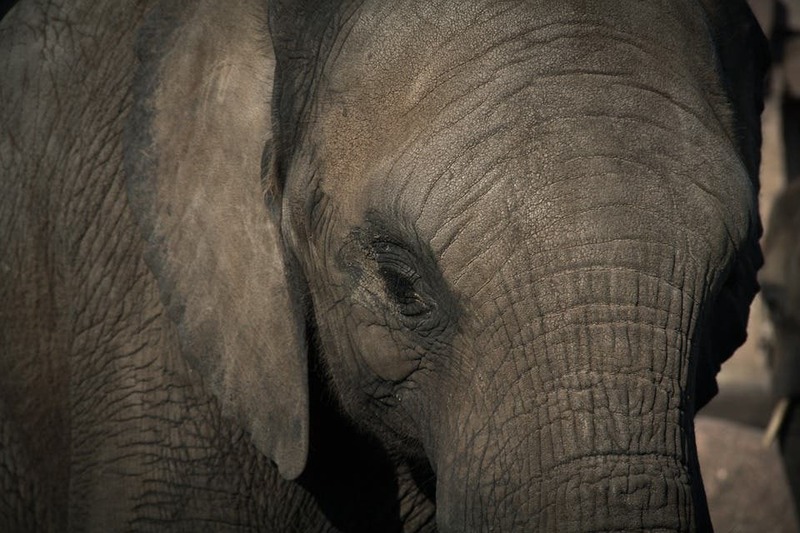 Animals that are either big or small are the most vulnerable to extinction. Vertebrates sandwiched in between a so-called ‘Goldilocks area — not too big but not too small either — prove to be the most resilient to outside threats like climate change, predators or human hunting. According to Prof Bill Ripple of Oregon State University in Corvallis, US, larger vertebrates are mostly threatened by human hunters while smaller vertebrates are largely threatened by habitat degradation. Ripple led a team of researchers that compiled a database of thousands of birds, mammals, fish, amphibians, and reptiles at risk of extinction. Investigating the results shows that animals sitting at either end of the scale were disproportionately vulnerable. “Surprisingly, we found that not only the largest of all vertebrate animal species are most threatened, but the very tiniest ones are also highly threatened with extinction,” Prof Ripple told BBC News. You’ll often hear on the news about the desolate poaching of African elephants, lions or rhinos. Indeed, reporting like news of 100,000 elephants killed between 2010 and 2012 is no exaggeration. Many other less popular animals are in a similar situation, though. These include the whale shark, Somali ostrich and Chinese giant salamander, which can be considered the giants of their niche. Meanwhile, frogs and shrews — literally the little guys — get even less exposure. Large animals are often apex predators that play an important role in their ecosystem controlling the abundance of species they prey upon. Their impact has a cascading effect that can be felt all the way from food security to the quality of water and soil. On the other hand, small creatures are often vital pollinators of plants and can play a major role in pest control. 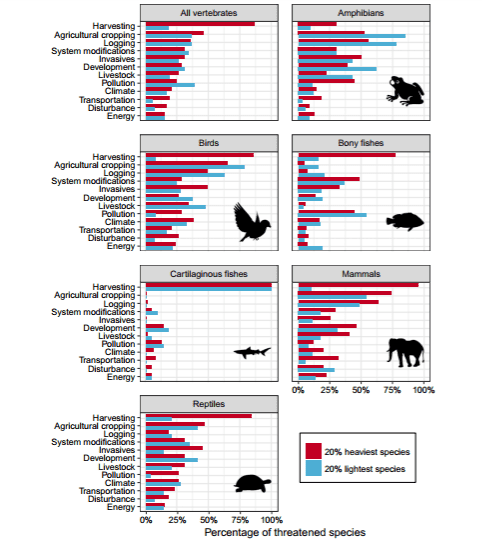 The list compiled by Ripple and colleagues totaled 25,000 vertebrate species, of which 4,000 threatened with extinction. Hunting food, trade or medicines, including poaching. The findings serve as a wake-up call, signaling an impending sixth major extinction. While the previous five were caused by catastrophic natural phenomena, this one is on us humans. The last time this happened was 65 million years ago when an asteroid impact killed off the dinosaurs and two-thirds of all life. The most devastating blow came 252 million years ago when the Great Dying snuffed out about 90 percent of the world’s species. A 2015 paper found that while the pre-human rate of extinctions on Earth was about 1 — a “death rate” of how many species become extinct each year out of 1 million species — now that death rate is about 100 to 1,000.